We're more than half-way through the Zoya Irresistible Collection now and today's shade is Tinsley! 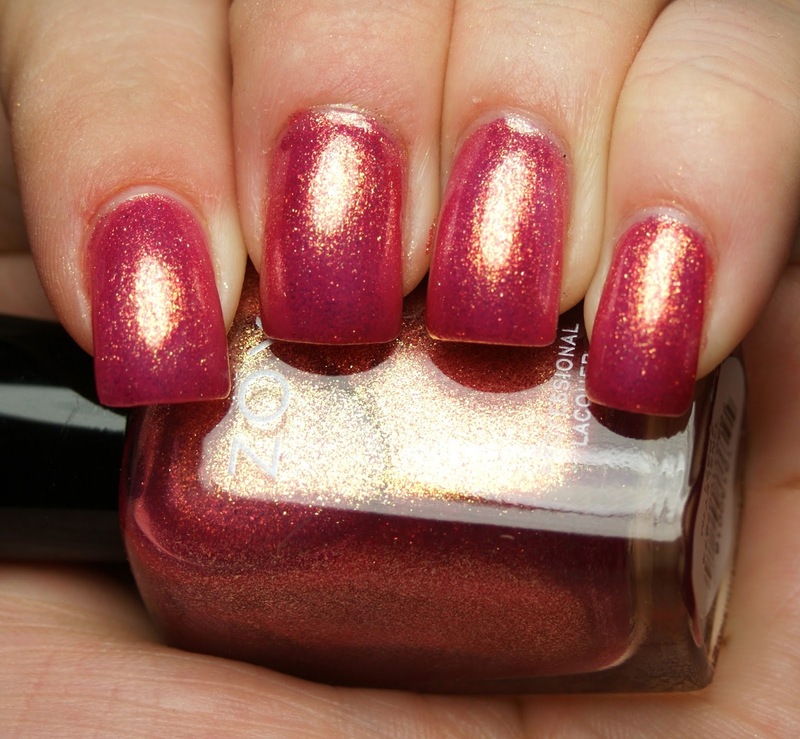 Tinsley is a metallic pink with gold shimmer. The above is with three coats for maximum opacity and in bright sunlight. Here is Tinsley in indoor light. Isn't it crazy how different it looks? But I still love it! What do you think of Tinsley? So gorgeous! I'm so gonna order this now! This is the next Zoya I want!!! I'm not a pink kind of girl, at all, but this is pretty! Just another polish picture to make me be dying to try out Zoya! I love this polish, it's one of my favorite Zoyas. It reminds me of rose gold! So pink! I love me some pinks! I still cant believe I haven't tried Zoya yet! This is so pretty! I love gold shimmer - especially in pink, it adds so much warmth and just makes me happy. OMG. I've only recently started liking pink again. Before I was one of those pink hater kinda girls, but now I love them. And that one is memorizing.